My wife, Sally, knows the boys … she showed up to keep us out of trouble. My buddies Morrie Smith (from New Zealand) and Terry Epton (from New Orleans) came out for a couple of days. We went on a golfing adventure. 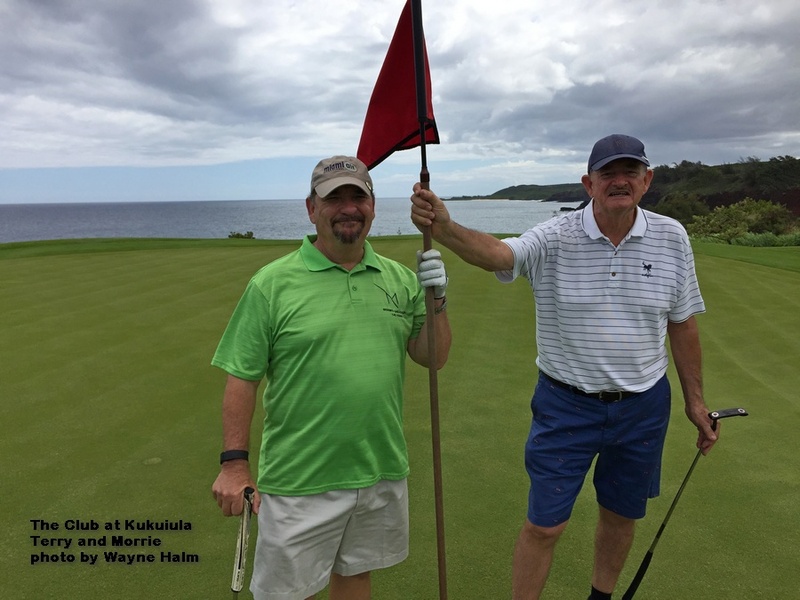 We started our adventure on June 11th 2017 on The Club at Kukuiula. 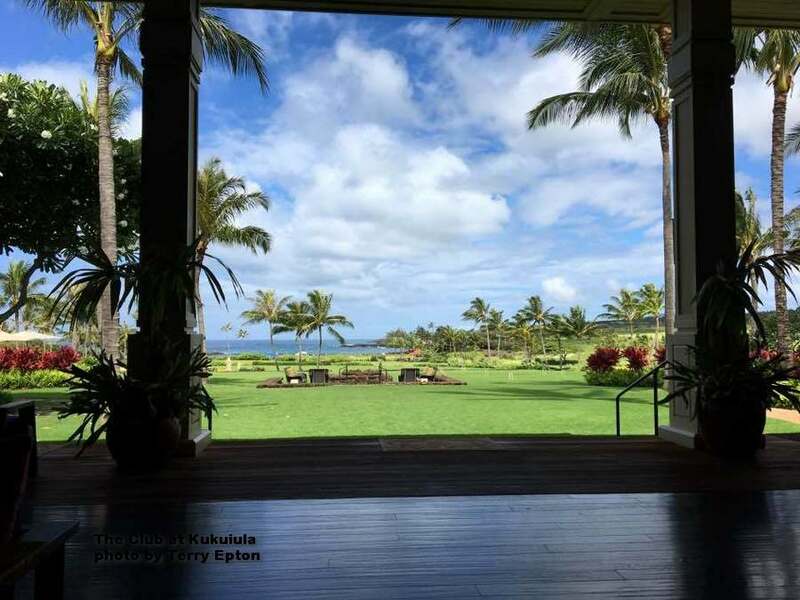 The Club at Kukuiula is a special place. It is full of “postcard views” and mysterious things. The lawn and view from the clubhouse. Mysterious things? 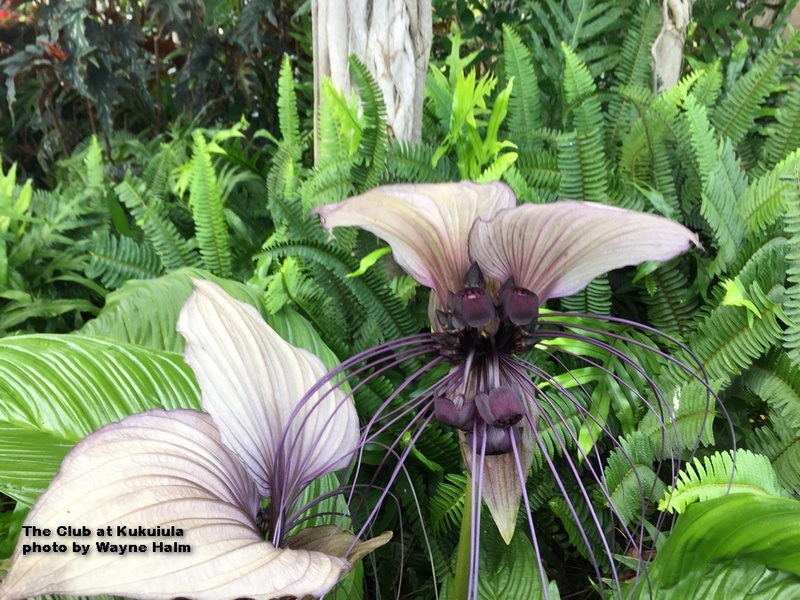 Well yes … I was told this is a flower and not a giant spider … even so, without the zoom feature on the camera you wouldn’t be looking at it. I wasn’t going to get close. 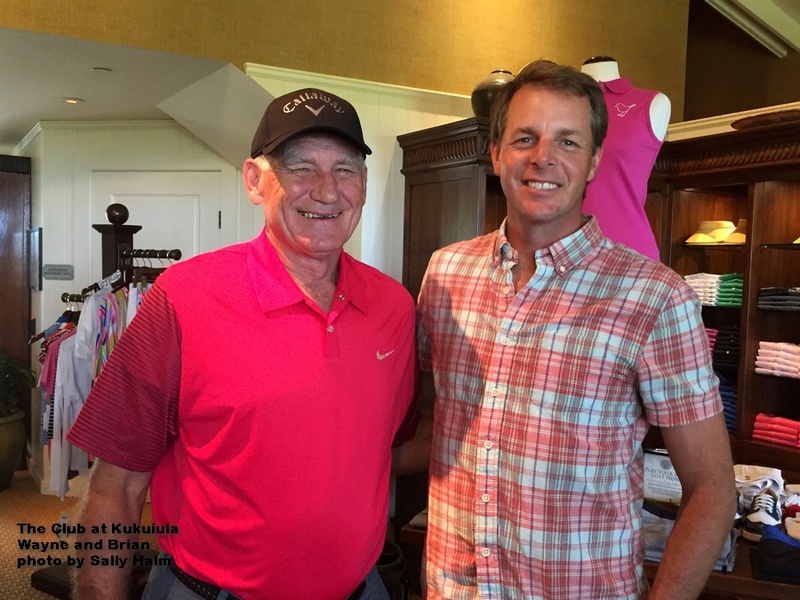 However views and flowers aside, we came to play golf and have FUN … and we did. Well, maybe we also had a drink or two. But really the beers weren’t necessary … this magnificent course kept the smiles on our faces. This was a great day! 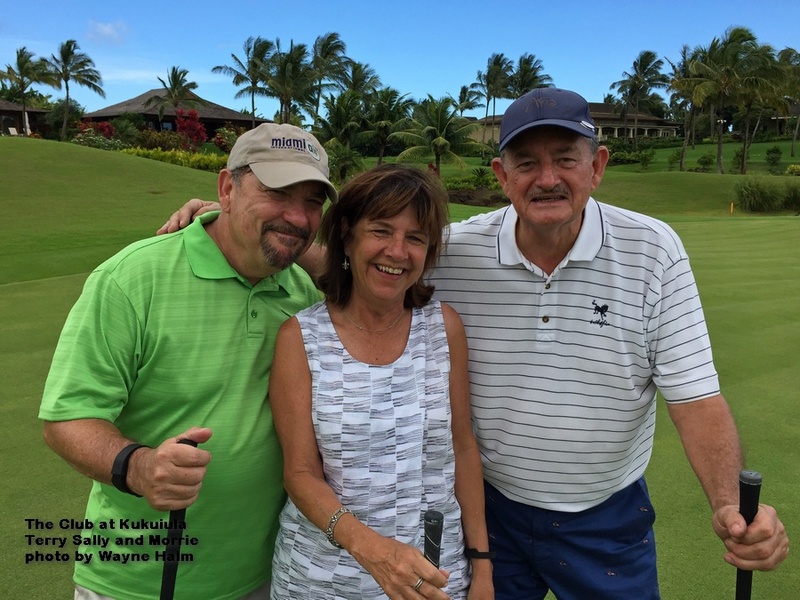 No big agenda … just three “good old boys” having fun in the Hawaiian Sun. It was the way golf should be. We do have a good time. And we tease Sally … but it is probably a good thing she looks over us. Sometimes we forget we are not young boys anymore. 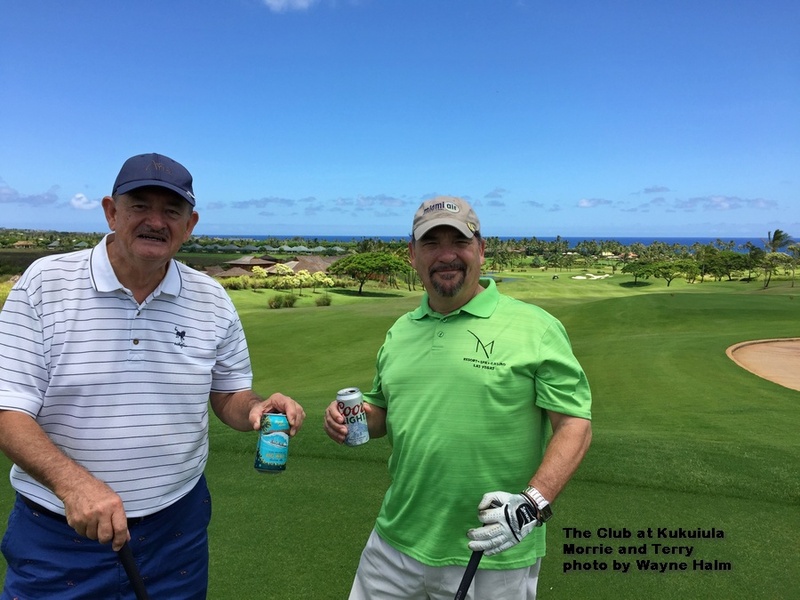 You sure know how to show your buddies a good time starting your at adventure at Kukuiula. I’m sure you still managed to find some trouble, but glad to see Sally was there to keep you out of the worst of it. Pass on my best. We only had a couple of days and there were weather questions … so we decided to get what we could. And yeah, Sally realized the danger of that mind set.